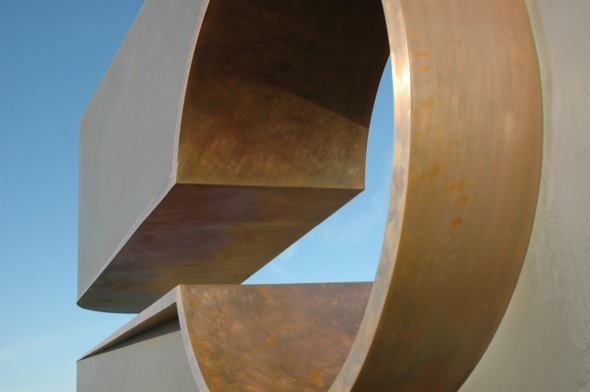 Exhibited in Sculpture by the Sea 2008 on the Bondi to Tamarama coastal walk, in Mark’s Park. When I’m in that place, I tend not to see the urban aspects of the landscape. My attention is drawn the other way, toward the scale and drama of the natural coastal environment and the interventions that occur; container ships on the horizon, little fishing boats in that huge sea, whales breaking the surface, aeroplane contrails against a too blue sky. She thought is in part a response to those elements. The work grew straight from the place and it says some of the things that I feel about this, and other landscapes. I like the idea that nature cannot be contained and I’ve tried to express that. An old friend of mine saw an image of the work in situ and sent me a note saying what does it do, pull ships from the sea? I liked that. 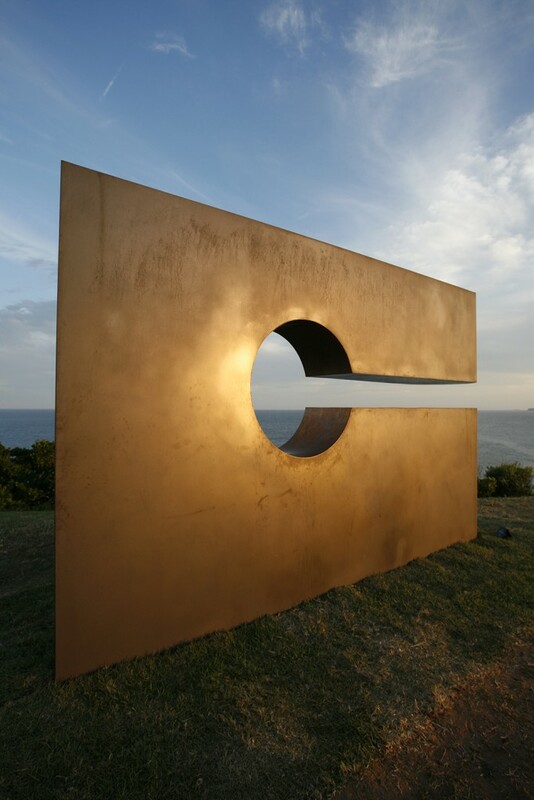 She thought was awarded the NAB Sculpture Prize in 2008.